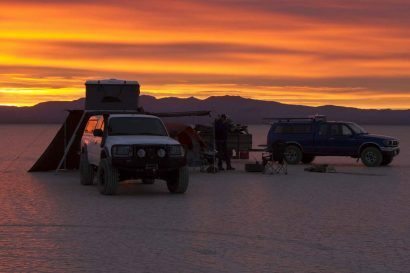 In 1977, after years of building up savings with work in areas of Antarctica, Canada, and the Sultanate of Oman, my parents, Alec and Jan Forman, set out on an original overland adventure. 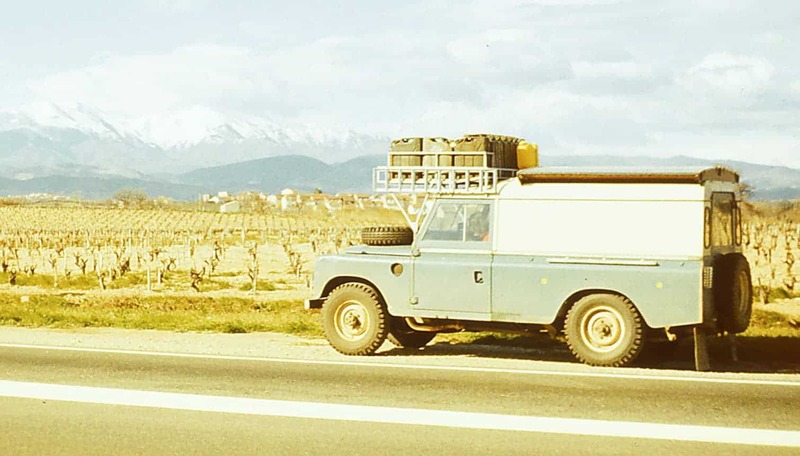 Pulling out of the driveway of my grandparents’ home in Brentwood, Essex, in their fully prepared 1974 Land Rover Series III, packed with all the essentials (including 12 jerry cans and a chemical toilet), they ventured forth into the unknown to explore more of the world. 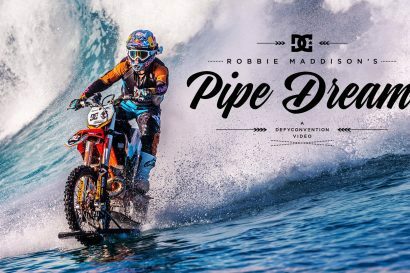 Over eighteen months later, they had conquered the rugged landscapes of 40,000 miles and experienced the delights of rich cultures in 29 countries across Europe, Africa, and Asia. With only maps and a compass they had crossed the Sahara Desert twice, navigated the valleys of the Hindu Kush, and parked their noble Rover in front of a sign for the highest point of the highest road in the world in Ladakh. After witnessing many lifetimes worth of stunning views in lands that are so different or no longer accessible today, it was the many engagements with humble strangers that truly defined their life-changing journey. “Ten miles south of Medea in Algeria, having driven two hours from the capital, we parked for the night on a grassy, triangular plot of land that bordered a curve on the mountain road. A radiant golden sunset silhouetted the jagged outline of the Atlas range. It was not long after we had set up camp that there was a knock at our back door. ‘Hello,’ said Alec as he pushed open the heavy door and saw a young lad standing there. ‘Steady on, I don’t understand. Non compri,’ Alec replied. Conversation stopped and the friendly boy went away. ‘Alec, would you like rice with the fresh fish we bought today?’ I enquired. I prepared the meal as Alec studied the Michelin map for North Africa. He reviewed and marked the 200 miles driven that day and tracked the route ahead. Dinner was ready to eat. ‘Open the door, Alec, and let the steam out, please. Phew! The cooker soon heats it up in here. When Alec pushed the door open he was surprised to see the young lad had returned with an older teenager. They said nothing, just handed him a dish of freshly cooked fish and a basket of bread. We gasped in astonishment. ‘But they might be offended!’ Alec commented. The lads stood by the door and quizzically watched as Alec and I tried to be diplomatic. We were frustrated at not being able to explain our predicament in their language. I showed them our cooked meal and tried to make it plain why we had to return their food. Their cheery faces turned glum as they received back the laden dish and basket. ‘Au revoir. Merci,’ Alec and I chorused together as they walked away into the darkness. We had been looking forward to our dinner, but every mouthful then seemed tasteless and hard to swallow. Our meal progressed in silence and our hearts were heavy at our unwelcome response. The first real contact with the local people and we’d goofed. Not again! Our visitors had returned. This time they presented us with coffee. They handed to Alec an engraved copper tray raised on four tiny legs. On it was black coffee in a thermos flask with sugar lumps nestled in a flowery dish, plus two tiny china cups and saucers. ‘Merci, merci!’ I gratefully smiled and invited them to climb inside the Land-Rover, as we moved along our bench seat to give them room to sit. The lads joined us hesitantly, but stayed for an hour. We drank their coffee and they drank ours. Communication was possible using a pencil and paper to draw pictures for one another and our French dictionary came in handy too. As they learnt something about us, we learnt much about them. The handsome lads looked young for their age. The eldest was eighteen years old, a car mechanic at Medea, whilst the youngest, Ali, was a fourteen-year-old schoolboy. Seven siblings, all told. 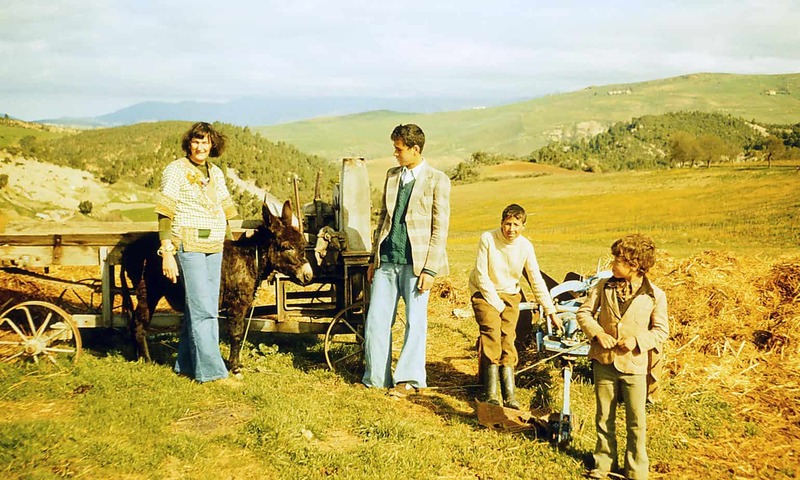 Their father worked in the oil fields near Sidi-Bel Abbes and drove a Land-Rover too. An older brother was in the police force. Their disabled mother remained at home, which was just across the road. We even discovered they had a television powered by a car battery. They left smiling and we were relieved to have been given a second chance. To top it all, we’d even made plans to meet again the following day. We were up by six, and we ate breakfast, washed and dressed before the lads appeared promptly at eight. They climbed into the back of our Land-Rover and we left our campsite. Ali directed Alec to drive through their village, Beni-Chocoa, to a cooperative farm. There we saw a variety of farm machinery and tractors, plus a well-used and maintained combine harvester. There were substantial barns, one housing several fine Hereford bulls, a cow and twin calves. The labour-intensive farm was set in a rich green valley sprinkled with beautiful wildflowers. I sat down on a grassy bank to enjoy the country scene and made a daisy chain, while Alec wandered around with the lads. We returned to the location of the previous night, and turned left off the tarmac road and down the earth track to a one-storey house nestled in a depression on the side of the hill. Entering through the doorway, we stood in the courtyard. Grapevines clung to the inner walls. Ali introduced us to his mother, his aunt, his older sister and two younger ones. There were no men around as they must have been away at work. We were welcomed into the aunt’s bedroom and given chairs to sit on. Coffee was served – hot, steaming, black – an intensive flavour. I looked around the pink-washed room. Hanging on the wall, in a place of honour, was a framed photo of Houari Boumedienne, the Algerian President. The room was modestly furnished with a large wardrobe, a bed, a dressing table, blankets and a couple of bulging suitcases. Perfumes and soaps were arranged on a table. A two-month-old baby girl slept peacefully in a swinging metal crib. The lads proudly showed us treasures their father had made: picture frames, caskets and model houses made of shells, crystals and matchsticks. Their mother could only shuffle about with the aid of a “stick. She sat down on a wooden chair, studied us intently and smiled. Ali’s older sister came in and presented us with lunch: two bowls of couscous ladled with sour milk. We took the bowls and spoons and tentatively tried the food. ‘An acquired taste,’ I mouthed to Alec and he nodded. We willingly ate the strange food until we could eat no more, as she had given us such generous helpings. With our lack of French, our conversation dried up and it was time to take our leave. 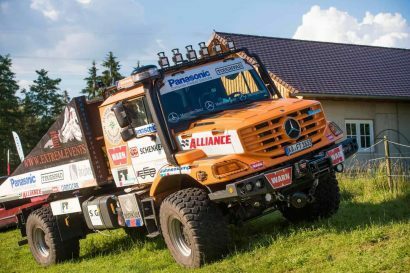 This coming October, my parents will be flying over from Europe to join my wife and I as we travel to the Overland Expo East event in Asheville, NC. 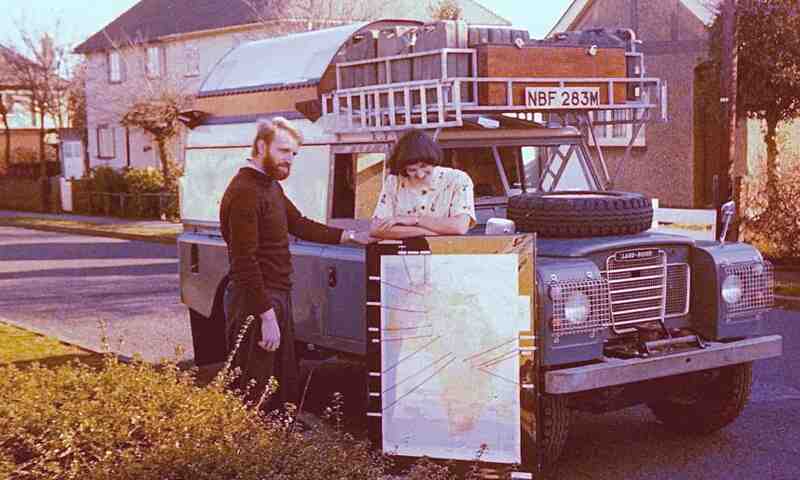 Charles Forman is the proud son of Alec and Jan Forman, an original overland adventure couple who in 1977 drove 40,000 miles through 29 countries across Europe, Africa, and Asia. 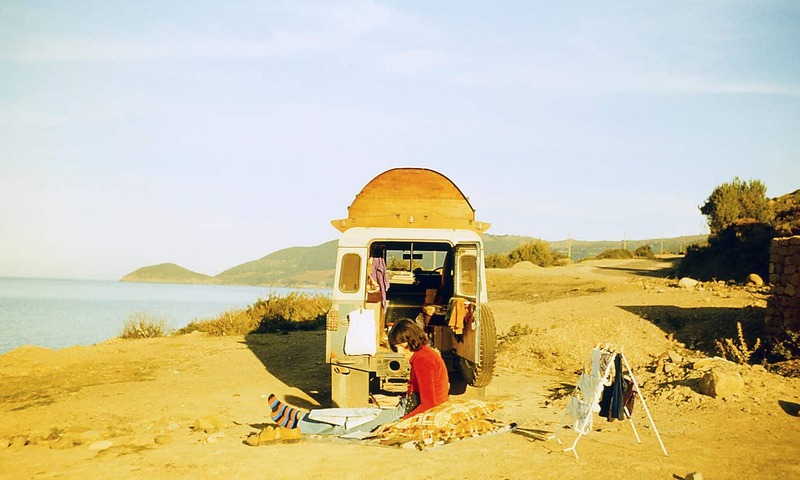 He owns and operates explmore, an adventure lifestyle brand founded on the travel stories of Alec and Jan Forman, with a passion to inspire people to explore more of the world, engage with others, and embrace global cultures. Discover more at www.explmore.com.